On this day in all the Proxibid auctions, you will not find a fake or replica California gold being labeled as the genuine thing. These brass and/or plated counterfeits have been giving the Secret Service fits since the 19th century. They are worth $1 or less. But we have seen phony lots sell on Proxibid for hundreds of dollars. 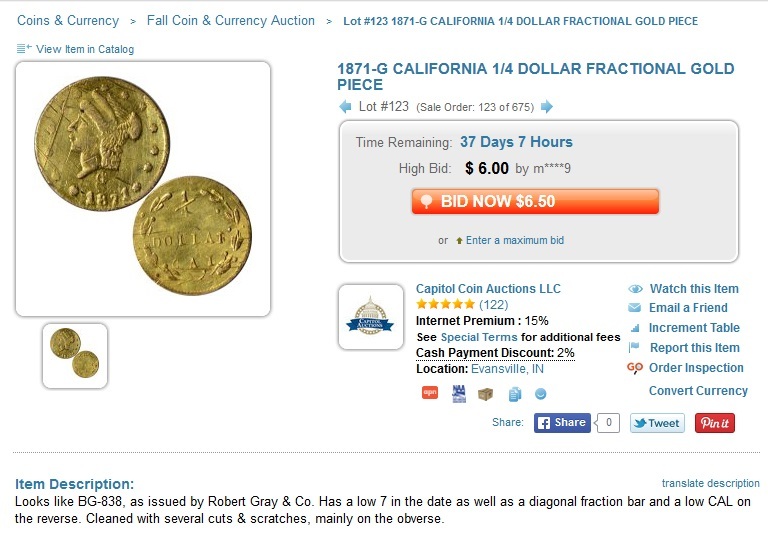 Our most popular post–California Gold: Real, Replica and Fake, which gets 100 hits per week–set the record straight on Proxiblog a few years ago. Among its recommendations is the requirement that all auctioneers cite the BG number from the Breen/Gillio Book on California Gold. 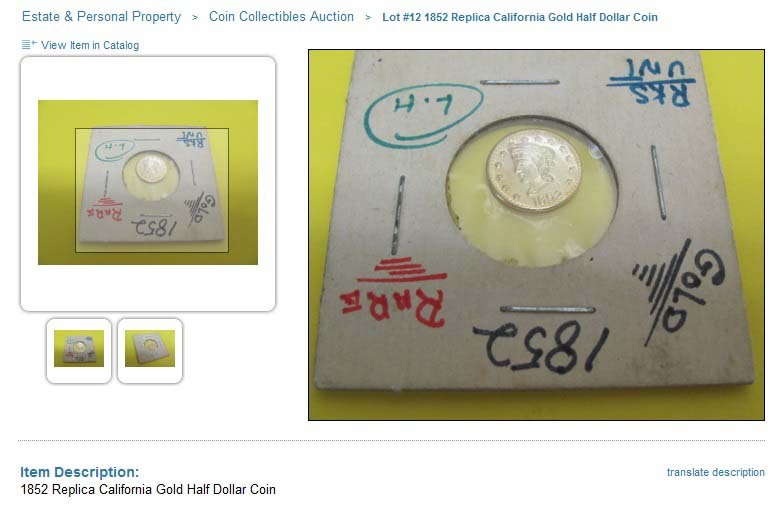 This entry was posted in Best Practices and tagged American Numismatic Association, Auctioneers, AuctionZip, Best Practices, Brad Lisembee, california fractional gold, Capitol Coin Auction, Coin Auction, iCollector, National Auctioneer Association, Proxibid, Proxiblog. Bookmark the permalink.